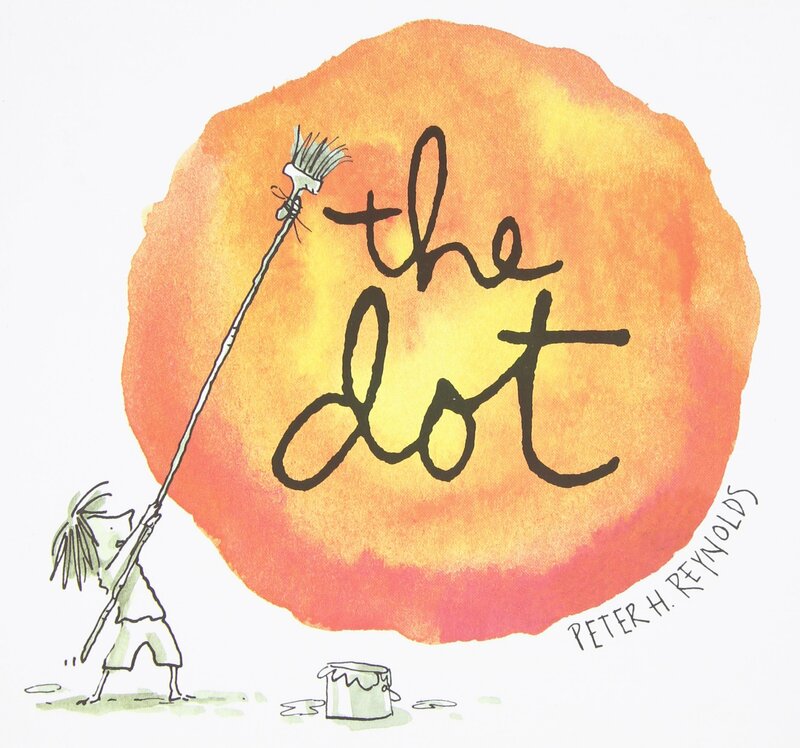 Book Review, The Dot by Peter Reynolds: I wanted to share this book review with parents who are faced with the concern they feel when their child tells them, “I can’t.” We want to be encouraging without being too overbearing. It gets trickier as they get older and more sophisticated in their “mind-reading” skills. They seem to know when we’re concerned and in turn become increasingly averse to our guidance. It’s a finicky line to walk, and I am grateful to have found this gem from the local library. It’s called, The Dot by Peter H.Reynolds. Reynolds tells the tale of a little girl who adamantly claims that she can’t draw. It’s a clean and simple tale with a big message. That one little dot marks the beginning if a little girl’s journey of surprise and self-discovery. This book is inspiring to kids and should give young audiences a boost of confidence. It was comforting to see my “I can’t” child intrinsically is drawn to the dot. As a parent the recognition of the life-changing influence books can have for a child is validated by a phenomenal read from brainpickings.org. Maria Popova shares the wisdom of Neil Gaiman on Why We Read and What Books Do for the Human Experience. Popova also shares Gaiman’s piece titled “Why Our Future Depends on Libraries, Reading, and Daydreaming.” I couldn’t agree more and have been most grateful for the local librarians and their relationships with my children. Those that have been given the opportunities at an early age to experience the adventures of literature are the ones who feel they can make things happen and they are the ones that are successful in making a better life for themselves and others around them. This is what I have been telling my cousin, I will direct her to this site to read this article, It is not good to let kids start giving up on things at their early age. I believe the can do spirit should be imbibed in kids at the early stages of their lives. Want to tackle your Pear Shape, Moms?